The recent atrocious, barbaric, condemnable, despicable attacks in Brussels should move every Muslim to swift, unqualified condemnation. Why? Because as Muslims we are taught that murder is wrong. We are taught that suicide is wrong. We are taught that retaliating against unsuspecting innocent people for real or perceived injustices is wrong. We are taught that violating the sanctity of public space is wrong. These things are all unconditionally wrong, and I unequivocally condemn them. Attributing these crimes to Islam is also wrong. Dead wrong. Our Prophet (peace and blessings of Allah upon him) informed us, “No one of you murders at the time that he murders and remains a believer. Therefore, beware, beware (Ibn Hibban, 5979)!” To clarify, the murderer is engaging in an act that true faith would have prevented, hence, his engaging in such a reprehensible act is a sign that he does not truly believe. One version of this Hadith mentions, “Faith is stripped from him like his trousers. When he returns to faith, it returns to him.” In other words, as long as he is pursuing his murderous path, he is following the path of one lacking faith. This is a clear proof that people who commit acts like those in Brussels, or similar acts in Turkey, Iraq, Syria, Kenya, Nigeria, Yemen, or anywhere else, are not acting as Muslims, or on behalf of Islam. They should heed the prophetic warning and beware. The Prophet (peace and blessing of Allah upon him) also mentioned, “A Muslim is one from whose tongue and hand all of the people are safe (Ahmad, 6753; Tabarani, 3170).” This narration indicates that one who unleashes his tongue and hand against the life and honor of people is not a true Muslim. Similarly, a believer is described as one to whom people can entrust their lives and possessions (Nasa’i, 4997; Ibn Majah, 3934). Along these lines, the Prophet (peace and blessings of Allah upon him) once exclaimed, “I swear by Allah he does not believe! I swear by Allah he does not believe! I swear by Allah he does not believe!” Those hearing this inquired, “Who, O Messenger of Allah?” He responded, “One whose neighbors are not safe from his evil deeds (Bukhari, 6016).” A version of this Hadith in Sahih Muslim reads, “One who does not keep his neighbor safe from his evil deeds will not enter Paradise (Muslim, 46/73).” The perpetrator of crimes such as indiscriminant suicidal murder is stripped of faith and denied Paradise by the testimony of our Prophet (peace and blessing of Allah upon him). Murderers beware! The Prophet (peace and blessings of Allah upon him) further stated, “There is no faith for one who is not trustworthy (al-Bayhaqi, 18,851).” It should be noted that in the latter narration the negation of faith is absolute, Laa Imaana, as it contains the particle of absolute negation (Laa an-Naafiya lil Jins). Imam al-Bayhaqi’s narration continues, “…and there is no religion for one who dishonors the covenant.” Again, the negation of religion here is absolute. Citizenship and acceptance of a visa to enter a country involve covenants, which include respecting the lives and property of one’s fellow citizens or those whose land one has entered as a guest, émigré, refugee or visitor. All of these narrations clearly enforce the idea that criminal murderers who have declared war on their neighbors, fellow citizens, innocent and unsuspecting men, women, and children, have rendered themselves totally untrustworthy and are disregarding one of the most fundamental foundations of human society. These are foundations that Islam exalts and honors. By so doing, faith has been stripped away from them and they have forfeited their religion. That being the case, how can anyone claim that these people are acting on the basis of Islam? In addition to losing their faith, they have been consigned to Hell. In the case of the attacks in Brussels, and similar atrocities in the Muslim world that are too numerous to mention, the criminals multiplied the gravity of their murderous crimes by committing suicide. Suicide is strictly forbidden in Islam, and one who commits suicide will not only be dispatched to Hell, he will continue to repeat the actions which led to his death over and over for eternity in the midst of the Inferno. In other words, the suicide bomber will suffer the torment of Hell in addition to the pain of blowing himself up, continuously, for eternity. The Prophet (peace and blessing of Allah upon him) mentioned in this regard, “Whosoever kills himself with a blade, that blade will remain in his hand and he will repeatedly stab himself in the stomach in the Hellfire, forever and ever and evermore. Whosoever drinks a poisonous substance, thereby killing himself, will hold that poison in his hand and will continually drink it in the Hellfire, forever and ever and evermore. Whosoever hurls himself from a mountain, thereby killing himself, will continue hurling himself from a mountain in the Hellfire, forever and ever and evermore (Muslim, 109).” What in the teachings of Islam provides an exemption to one who commits suicide by blowing himself up and then compounds that sin by murdering innocent people? Absolutely nothing. In the case of the suicide murderer, the adage that two wrongs do not make a right is doubly true. One aspect of these Hadiths is the strength of the wording conveying the eternal damnation befalling one who commits suicide. Imam Muslim’s version contains the words Khaalidan (remaining for eternity), Mukhalladan (forced to remain for eternity) and Abadan (eternally). Hence my translation, “…for ever and ever and evermore.” The strength of this condemnation alone should give pause to one who thinks that such actions are in anyway sanctioned by Islam. It is well-known in Muslim teachings that no believer, even one punished for her sins, will remain forever in Hell. The Prophet (peace and blessings of Allah upon him) mentioned, “One who says, ‘There is no God but Allah’ and in his heart is good equivalent to a grain of barley will be extracted from the Hellfire. One who says, ‘There is no God but Allah’ and in his heart is good equivalent to a grain of wheat will be taken out of the Hellfire. One who says, ‘There is no God but Allah’ and in his heart is good equivalent to a grain of corn will be removed from the Hellfire (Bukhari, 44).” What does this say about the hearts and the destiny of a murderous suicide bomber? What does it say about his good, or lack thereof? The gravity of suicide and its implications are summarized in the following Hadith Qudsi. The Prophet (peace and blessings upon him) has related directly from the Lord, “My servant has competed with me concerning his life [by hastening his death], therefore, I have made Paradise forbidden for him (al-Bukhari, 3463).” Anyone contemplating the murderous crimes that threaten the very foundation of our societies should reflect well on what we have mentioned here. 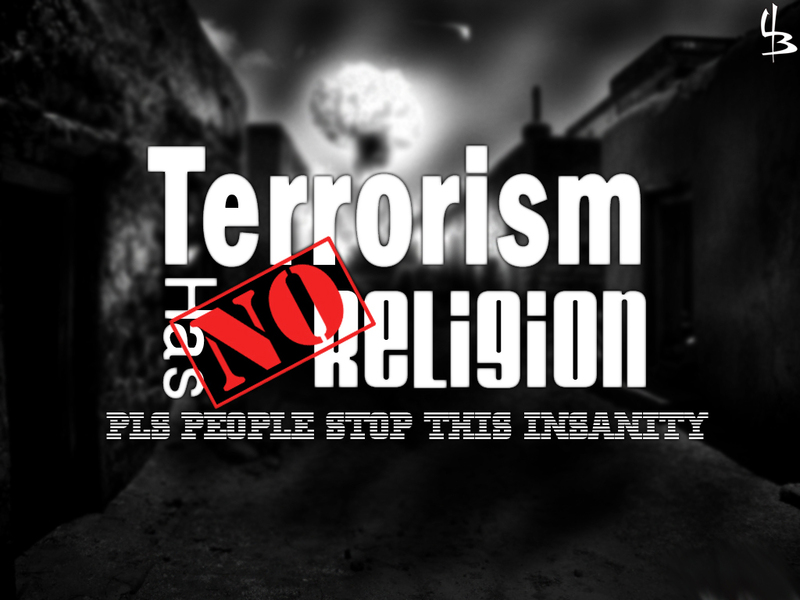 By the testimony of our Prophet (peace and blessings of Allah upon him) suicidal terrorism is not the weapon of the weak, it is the weapon of the wretched and the damned. The suicidal murderer will never leave Hell -Khaalidan, Mukhalladan, Abadan! The “fatwas” and “commanders” who justify the suicidal murder committed by their dupes have no weight in this regard. As for the “fatwas,” they are all flawed in that they are based on a false analogy. Namely, they mention the Companions of the Prophet (peace and blessings of Allah upon him) who launched themselves into a battle knowing they faced certain death. While the incidents being referenced by these “fatwas” are certainly true, in every instance the Companion was killed by the actions of others. None of them killed themselves. Furthermore, there are occasions when individuals committed suicide on the battlefield, and in each of them the Prophet (peace and blessings of Allah upon him) mentioned that he was going to Hell. For example, the Prophet (peace and blessings of Allah upon him) mentioned during a battle that a particular man was Hell-bound. The Companions were incredulous hearing this, seeing that the man had fought valiantly, so they investigated. They found that the man had committed suicide owing to an injury he sustained during the skirmish (Muslim, 111). His valor and faith were negated by his suicide. The gravity of suicide is further accentuated by the fact that the Prophet (peace and blessings upon him) would not perform the funeral prayer for one who killed himself (Muslim, 978; Nasa’i, 1966). As for the “commanders” who order these foul operations, the Prophet (peace and blessings of Allah upon him) has emphasized that they are not to be obeyed. This is made clear in the following Hadith. One of those given command over a group of Muslims, during the prophetic epoch, ordered them to jump into a blazing fire. When the Prophet (peace and blessings of Allah upon him) was informed of this he said, “Had you jumped into the fire you would have remained therein until the Day of Resurrection. Verily, there is no obedience that involves rebellion against Allah. Obedience is in lawful matters (Muslim, 1840).” Suicide and murder both involve rebellion against Allah as they are both unlawful, therefore, any order to commit them is to be flatly rejected, regardless of who issues that order. Me dull. You smart. That&apos;s just what I nedede. Cool! That&apos;s a clever way of lokniog at it!